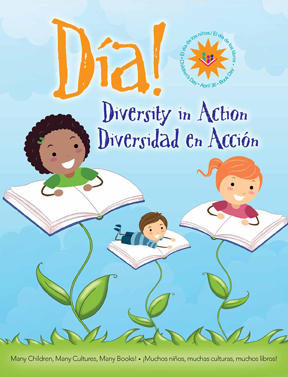 On April 30, 2019, public and school libraries will celebrate Día, a national library program that fosters literacy for all children from all backgrounds. Programs such as Día play a critical role in helping meet the needs of an increasingly diverse population, while also fueling understanding and acceptance. Día, also known as El día de los niños/El día de los libros (Children’s Day/Book Day) is a commitment to include and celebrate a variety of cultures every day, year-round, culminating annually on April 30. Día is an enhancement of Children’s Day, which began in 1925. In 1996, nationally acclaimed children’s book author Pat Mora proposed linking the celebration of childhood and children with literacy to found Día. What Día events are happening in your community? Find out how others across the country are celebrating by using this interactive map. Downloadable broadcast quality audio PSAs featuring Día founder and renowned children's author Pat Mora. PSAs are Also available en Español. Tips for reading with your children are also offered in English and Spanish and English and Chinese. To share or follow Día on social media, please use #diatogether and #sharebookjoy.